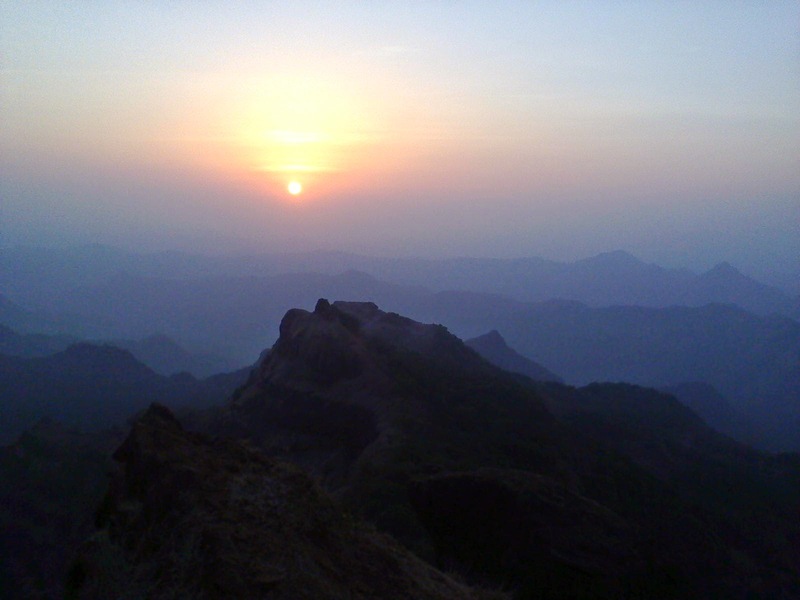 Lonalvala to Bhimashankar trek........ I first heard this long range trek route 3-4 years back! I was awstrucked by the distance to be covered for this trek. Initial impression comes in mind will be something crazy thing to do! But I aimed to complete this trek as soon as possible. As usual due to many circumstances I kept on postponing this trek till the rainy season of 2014. 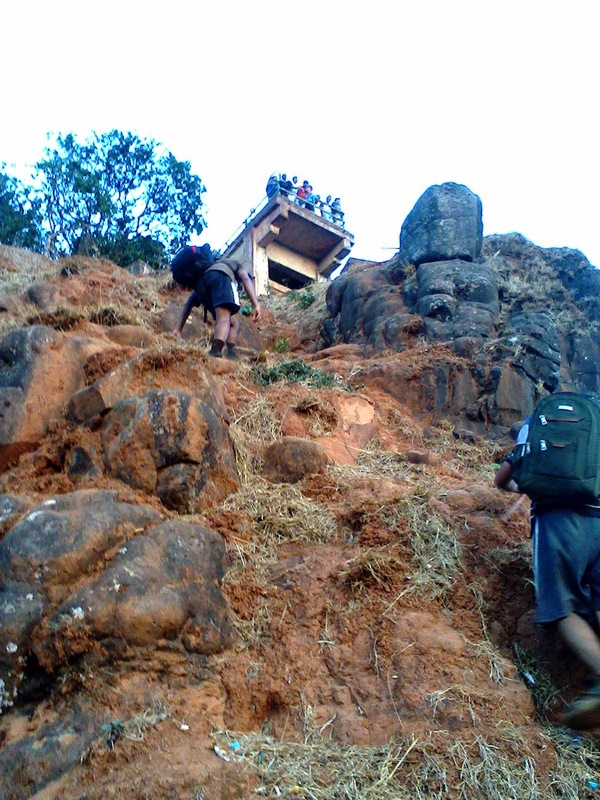 Finally all the things placed well and we (Mahadeo, Vinayak, Saurabh, Ganesh , Ajay and myself) agreed to trek down this route. Niyati and Madhu agreed to accompany us till Kondheshwar temple(Jambhavali). We decided to take first local towards Lonavala from Pune. It was @ 4.45am. Fortunately all the trek members reached to the Pune station in time and we boarded ourself in to the Garib rath of Lonavala :). We reached to Lonavala at 6.15am. Had our breakfast at ST canteen and left for out destination. 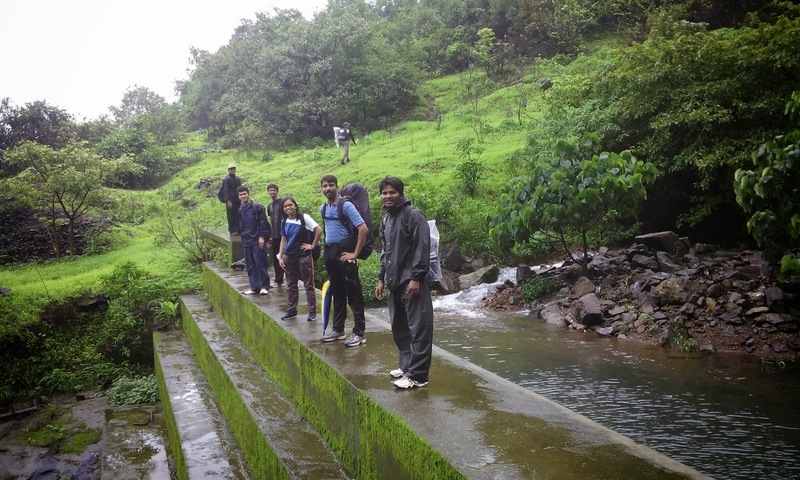 We followed the route going towards Rajmachi. 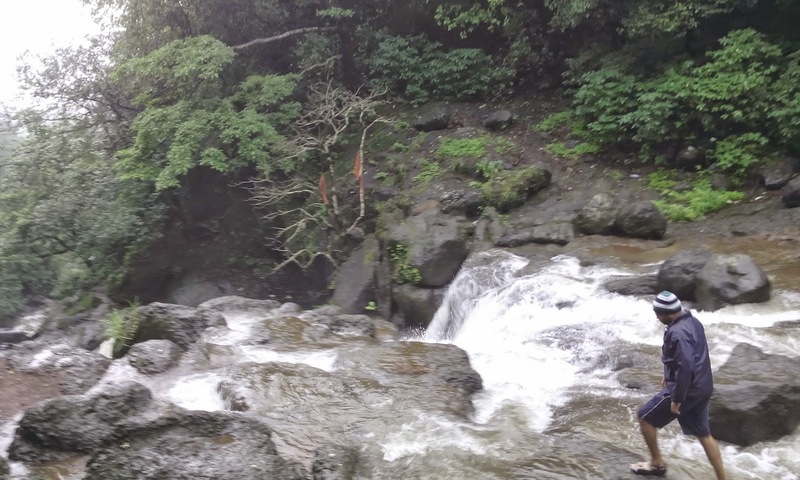 During monsoon, the route is utterly scenic with lush greenery and flood of water streams. After walking 2 hrs, you will reach to Y junction where left route goes towards Rajmachi and right one towards Kondheshwar. Follow the right side route. At the end of this road, you will enter into the Valvand village. We had tea break their and asked for the route towards Kondheshwar temple. One grandfather showed us the route and the direction to be taken. We followed the route besides power plant going towards the hill. 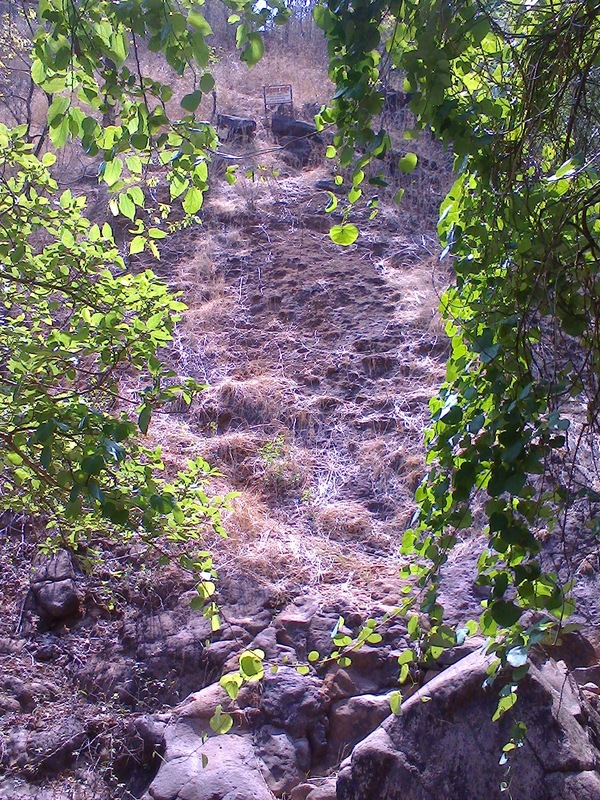 After climbing small hill, you will see water canal. Walk on this canal till it ends. From their, you need to climb the hill. Route is well trodden from here. After climbing 15-20 minutes trail opens into small ground. We couldn't find the further route. After searching a while finally we got correct route. When you enter into this small ground, follow the left direction. 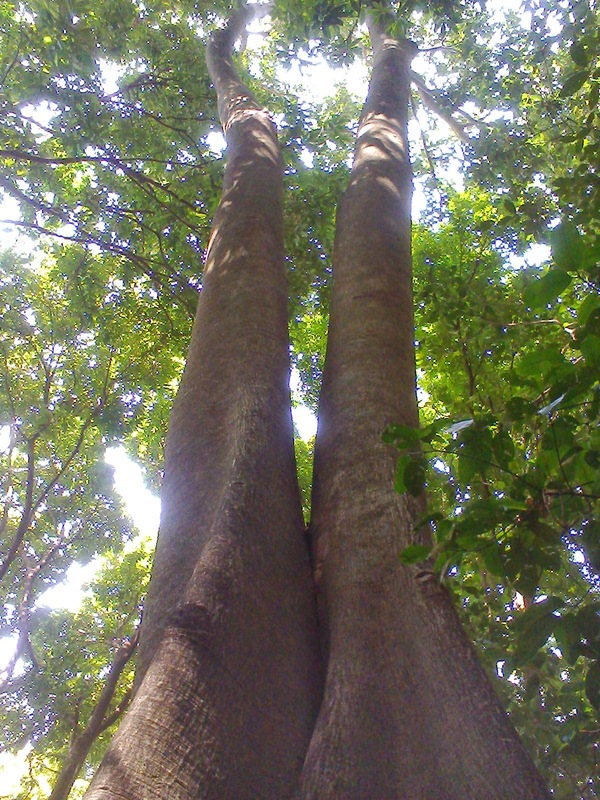 The route is slightly hidden due to vegetation. 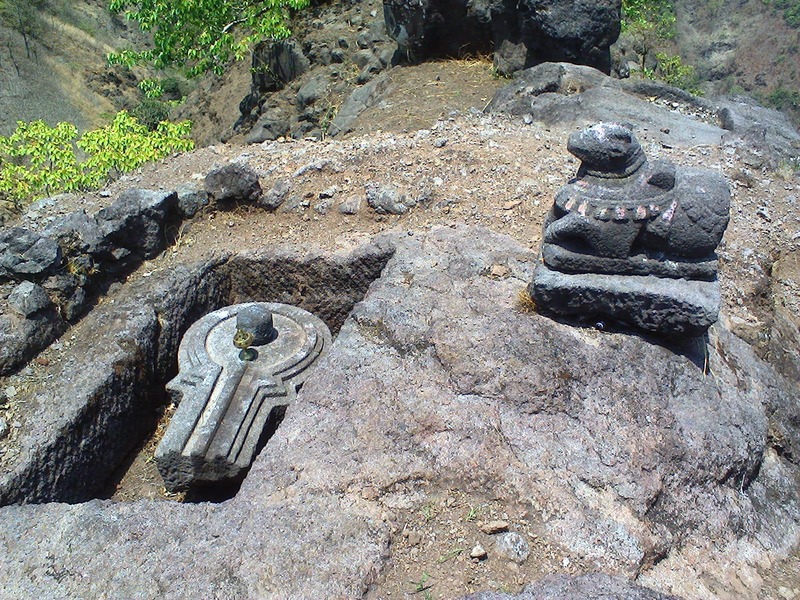 Once you locate this trail, further journey towards Kondheshwar temple is easy. No more chances of missing the route. Finally we relieved to see first glimpse of the temple from the top. After 15-20 minutes we reached to the temple. Took the blessing of the Lord Mahadeo. Photo session time extended a bit here :)!! 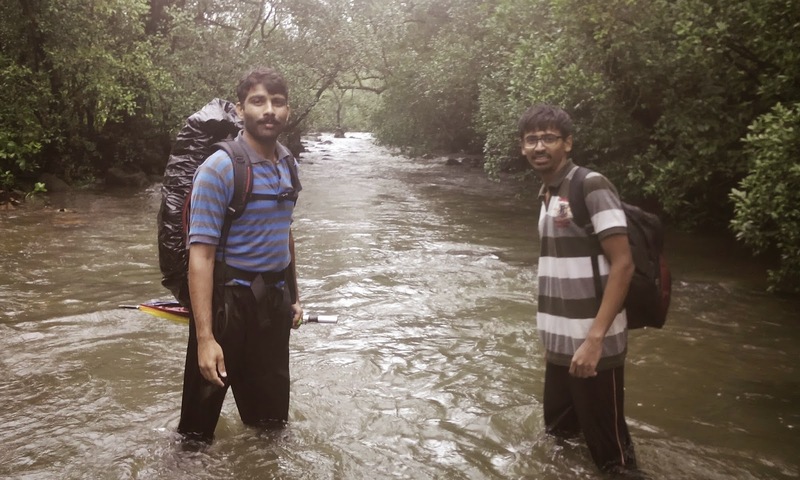 Our 2 trek members left us to go to Pune again. We followed the route going towards Dhak Bahiri. If you are new to this route, you may find difficulty to locate the correct route. It is advisable to ask the villager about the route. We climbed a small hill and then crossed a waterfall to reach the top of a hill. You can get first glimpse of Dhak Bahiri from this spot. Due to cloudy weather, we were unable to see it. 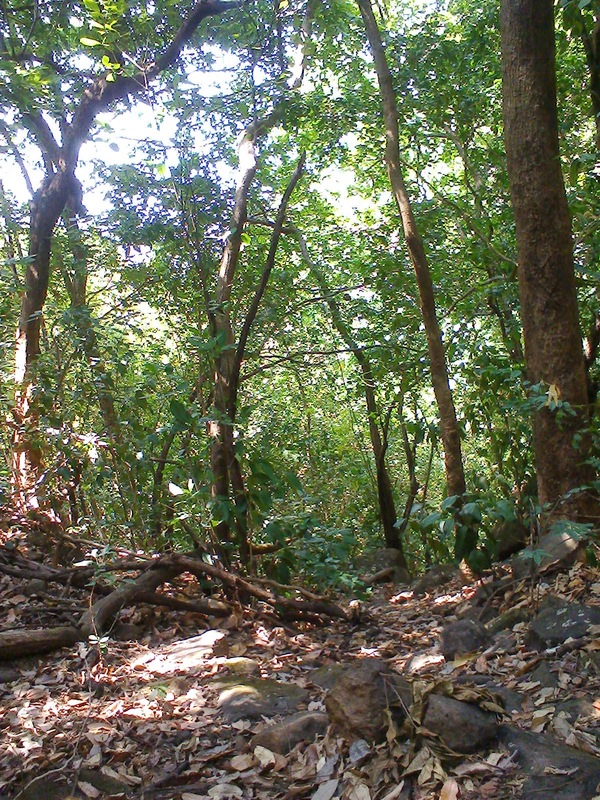 We descended down to the jungle and after walking 10-15 minutes a diversion came. 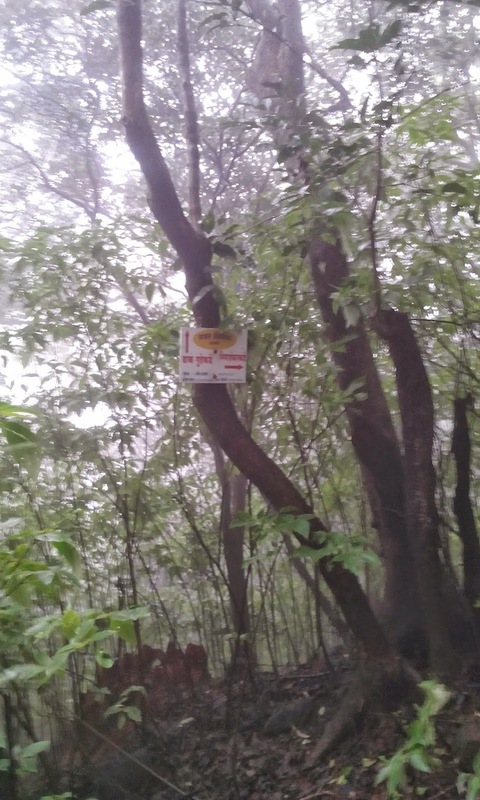 Signboards are installed at this spot to help trekkers finding correct route. Thanks to "Sahas Adventure" group for signboard!!! Route from hereon is well trodden with marked arrows at few places. After walking considerable distance you will enter into vast plateau. 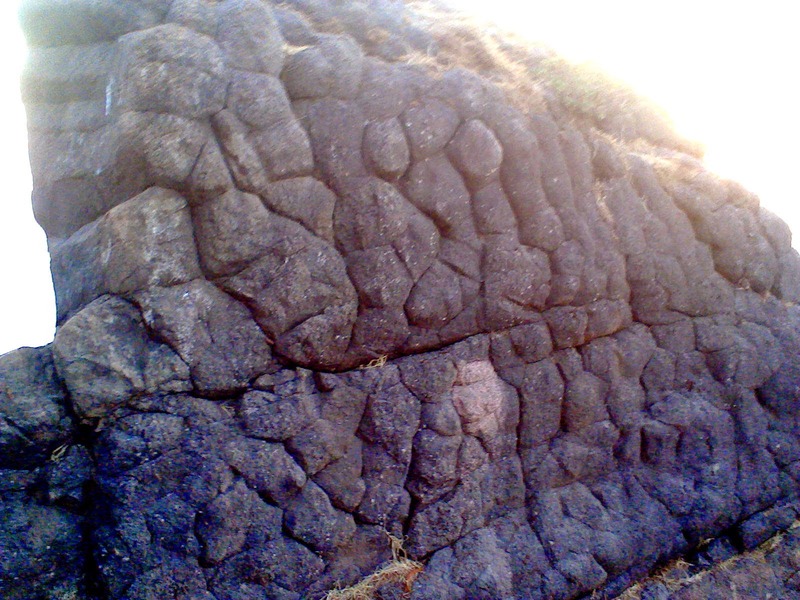 Sometimes you may find difficulty to locate correct route because of multiple cattle trails all over the plateau. If the weather is good you can see tall iron rod/tower installed vertically on the plateau. Follow the direction towards the tower. 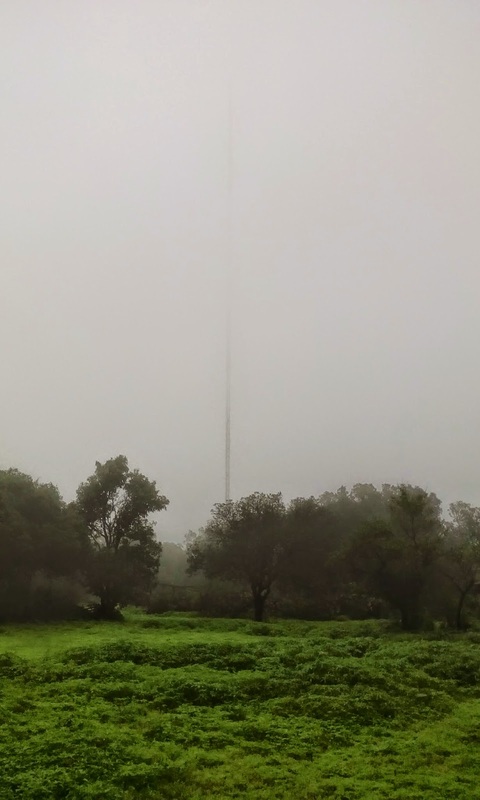 This tower is installed﻿ in the Dhangarwadi which is our next destination. Iron tower in the fog!!! 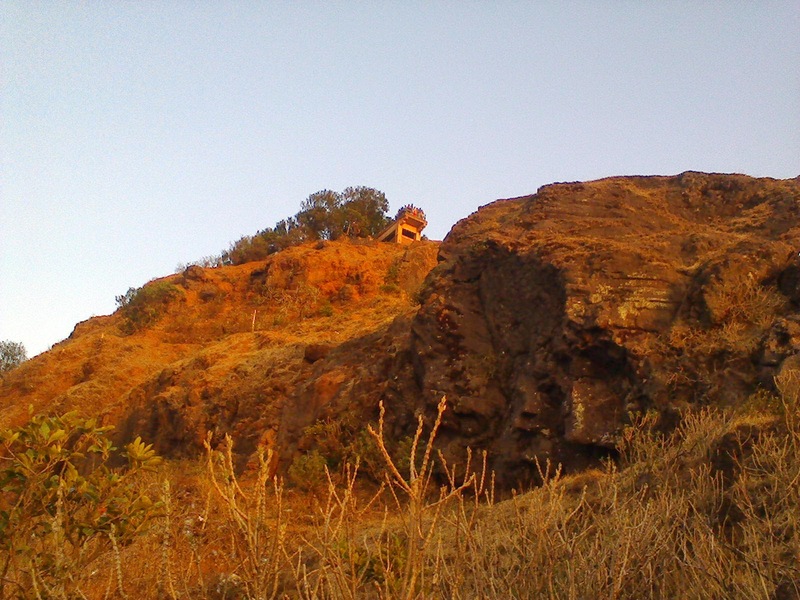 Landmark for the trek route towards Kusur!! 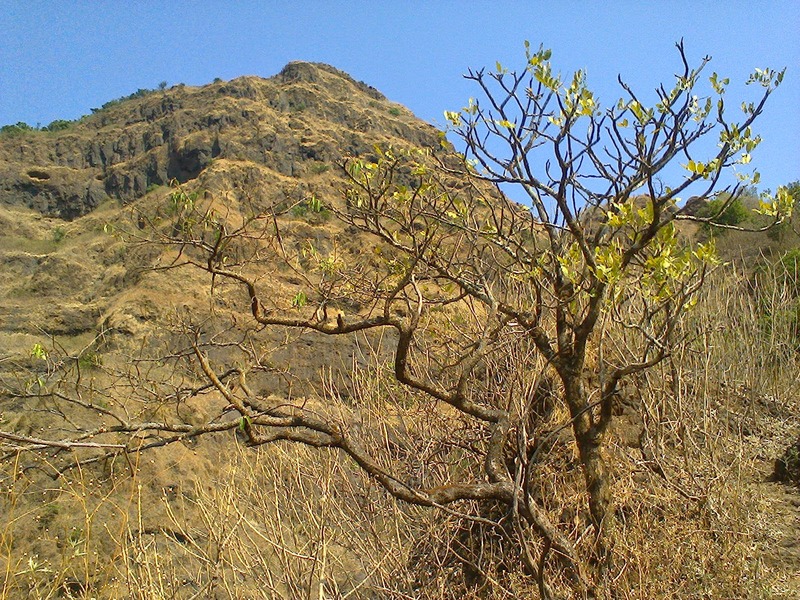 From Dhangarwadi, , we descended down to tar road (after 30 minutes of walk) which leads to the the village Kusur. We decided to wait for the bus which goes to the Sawla. Whole patch is tar road. It is always better to skip this tar patch. It saves time and energy. We had our snacks and waited for around 2 hrs for bus. We came to know that bus do not ply to Sawla. Last stop of the bus was Khandi; reason being road construction work in progress till Sawla. It was already dark and we were hungry. We asked some villagers at Khandi to cook food for us. But due to harvesting season, everybody busy with their own activities. We decided to go to Sawla using private vehicle. Luckily we got one and he agreed to take us to the Sawla for Rs. 500. We also requested him to arange some food for us. He took us to the Local Shivsena leader Shobhinath Bhoir in the Sawla. He immediately agreed to help us in arranging stay and food. It was already 8.30pm in the clock. We were overwhelmed by the generosity shown by him. After dinner, we slept in the temple. Next morning, after finishing morning rituals, we wanted to go to Talpewadi. The kind fellow arranged a private vehicle for us till Talpewadi. It saved our time a lot! 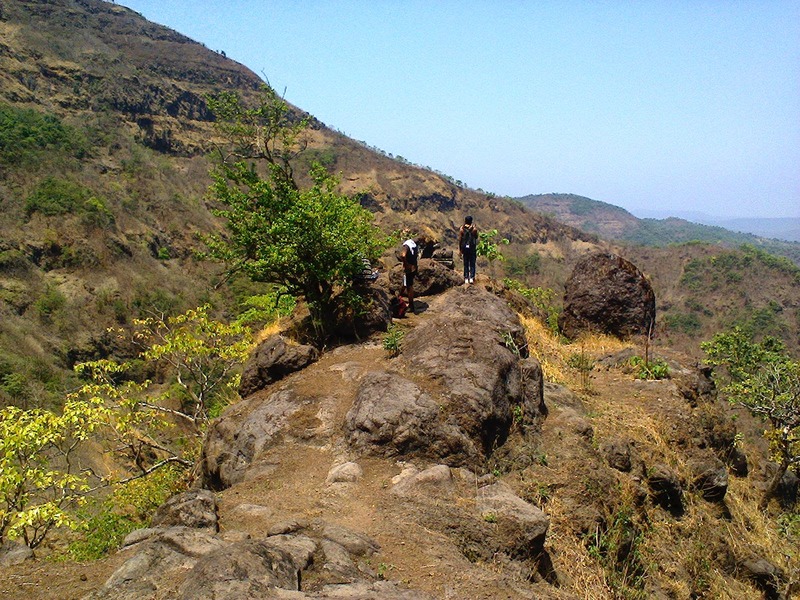 From hereon, Vinayak and company helped us in finding the route towards Bhimashankar. 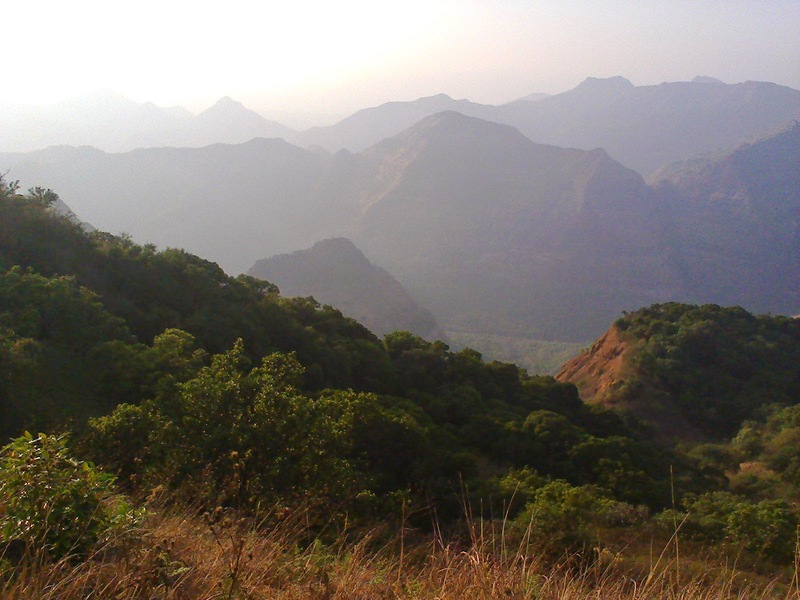 Earlier, they did the Bhimashankar trek from Talpewadi. 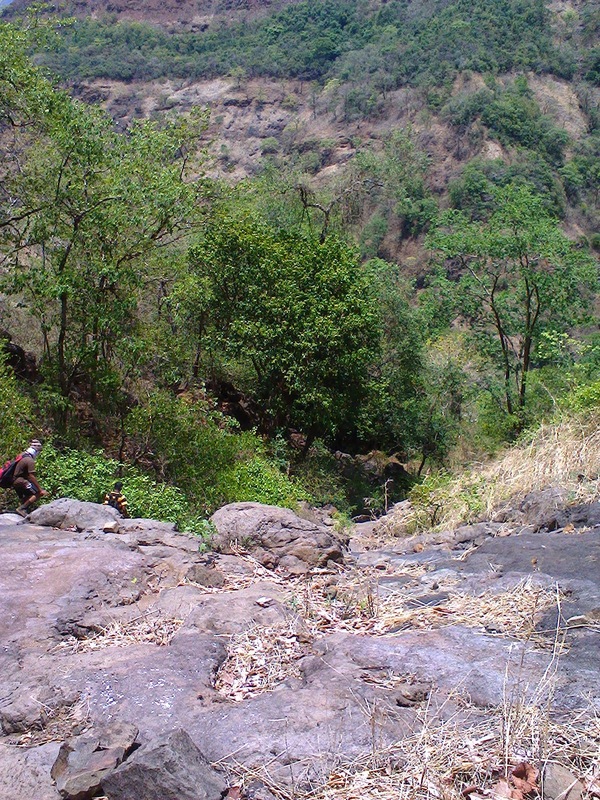 Our next was to reach Wandre khind and then desecend down to Padawadi gaon. If you are new, you may confuse at the initial trail. Always better to ask villagers. After walking 15- minutes and climbing small hill we reached to a big waterfall. Truely amazing!! 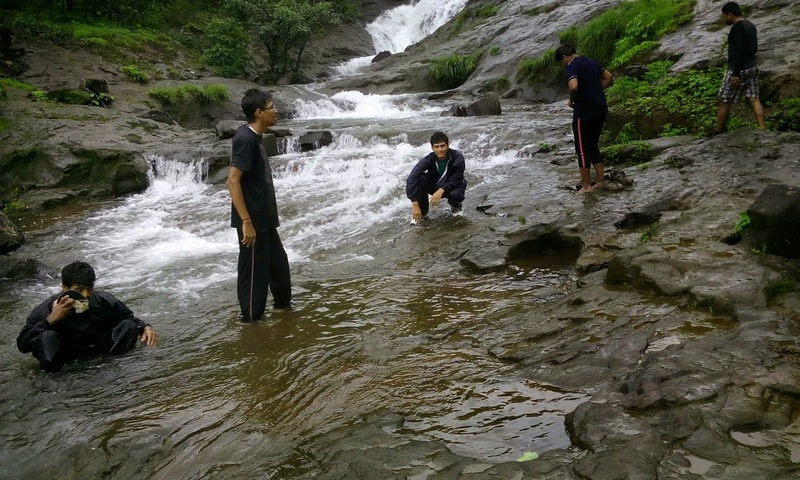 After crossing waterfall, we entered into dense jungle. Trail is well trodden. After 30 mins, we reached to Wandre khind. Another 30 minutes required to descend down and reach Padarwadi. We had our lunch and moved towards our destination. 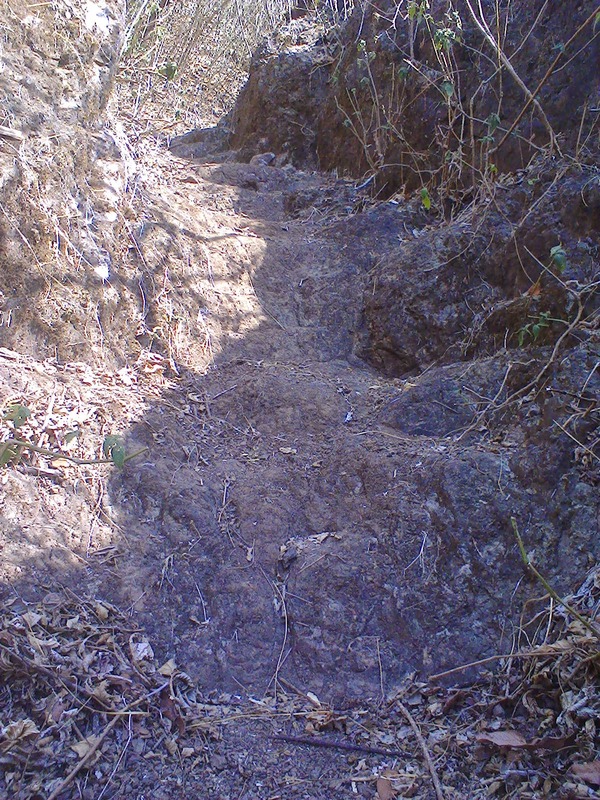 Again intial trail is little bit confusing due to cattle routes but we manged to take correct one by the help of villagers. We climbed a hill and reached to a big road. Walked on this road 5-10 minuted and found a sign board with direction stating "Aum Namah Shivay". We followed the route. Enroute we found a big house like structure. Follow the route going besides the house. The route is well trodden with arrow markings at frequent locations. So you will hardly miss the correct route. It was long walk. 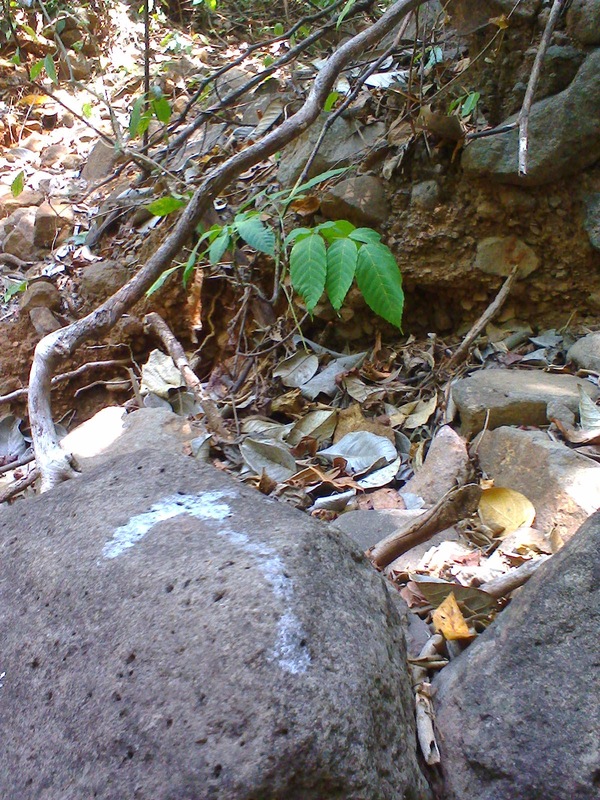 Once you near to the Kamaljai temple, you will see the well defined trail having rows of stones running beside the route on the both sides. We reached to Kamaljai temple and took blessing of deity. 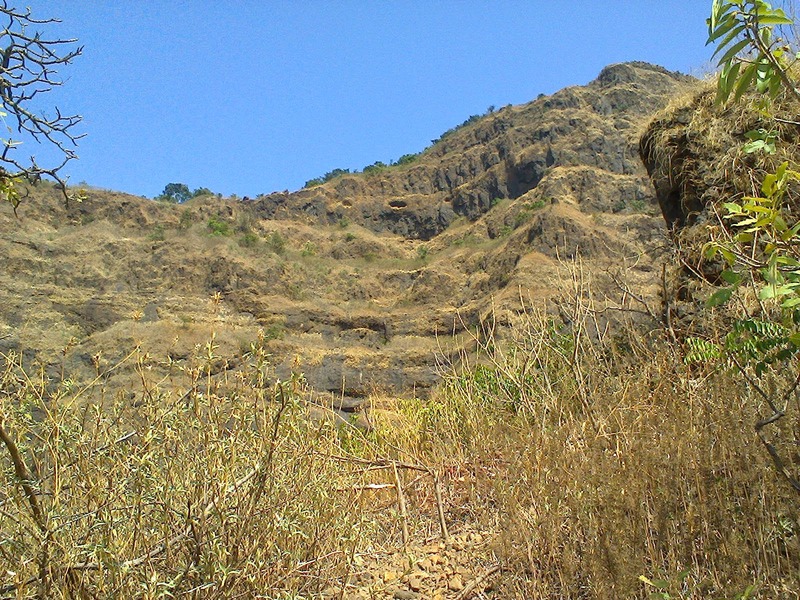 This area is one of the core of Bhimashankar sanctuary. 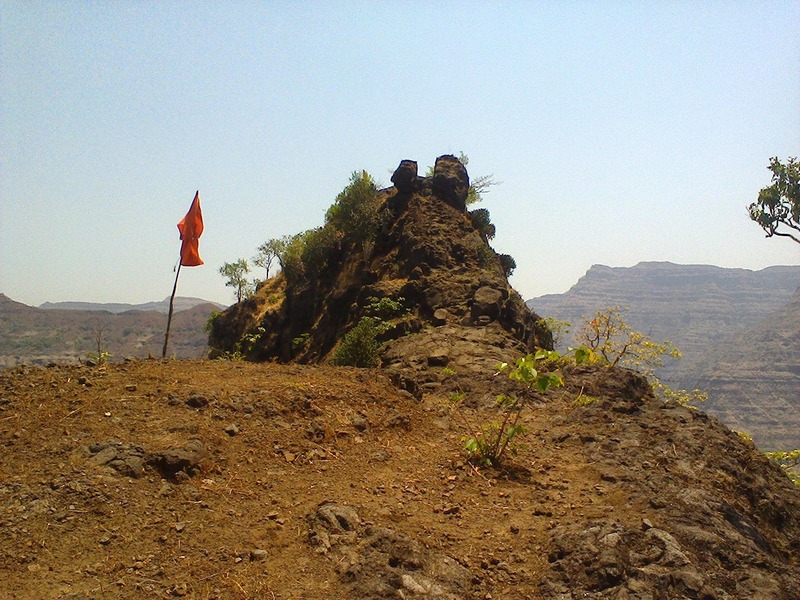 It would take another 1.5 hrs from the temple to reach bhimashankar. 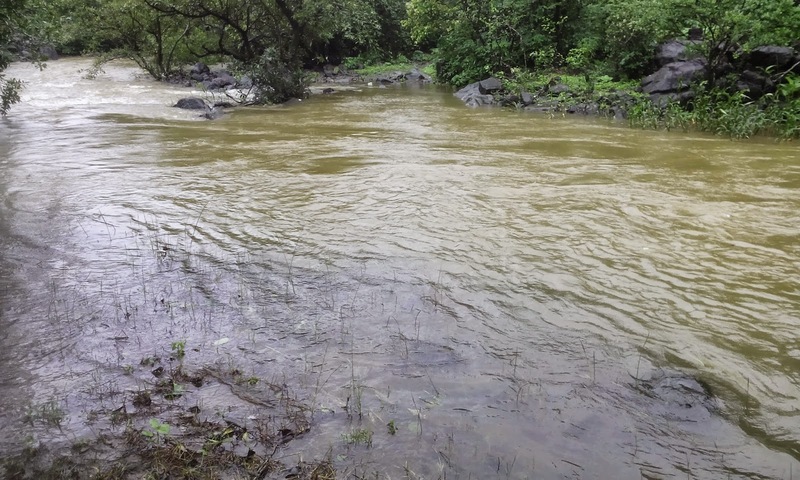 AFter walking considerable distance, we came across the Bhima river. We need to cross it. Initially we thought that it wouldn't be that deep but when we started crossing the river we acknoledged the deepness as well as force of water stream. We searched alternative route which is not so deep. Using human chain, we managed to cross the river. Again after few meter distance you again need to cross the river; but not at all deep. At the second river crossing we came to know that there was no need to cross the river at all. 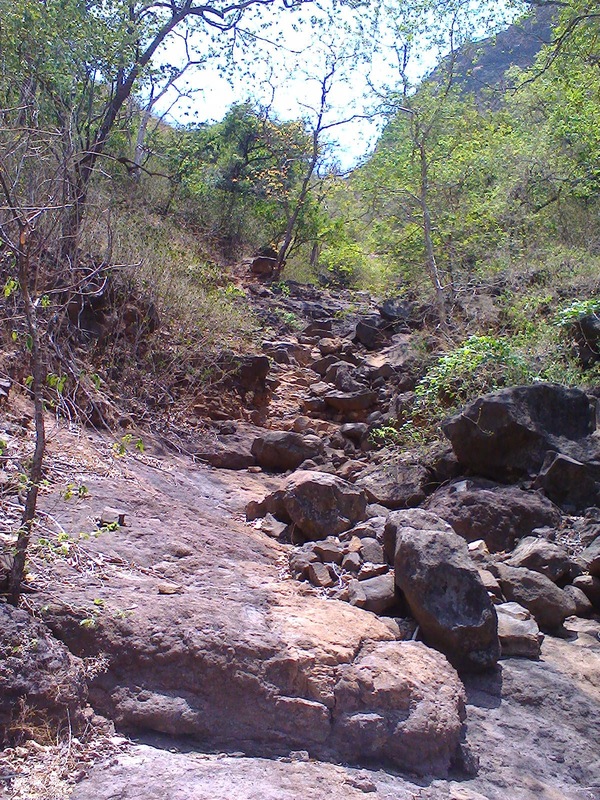 At the first river crossing, a trail goes into the jungle. If we follow it, we will reach at the other end of second river crossing. 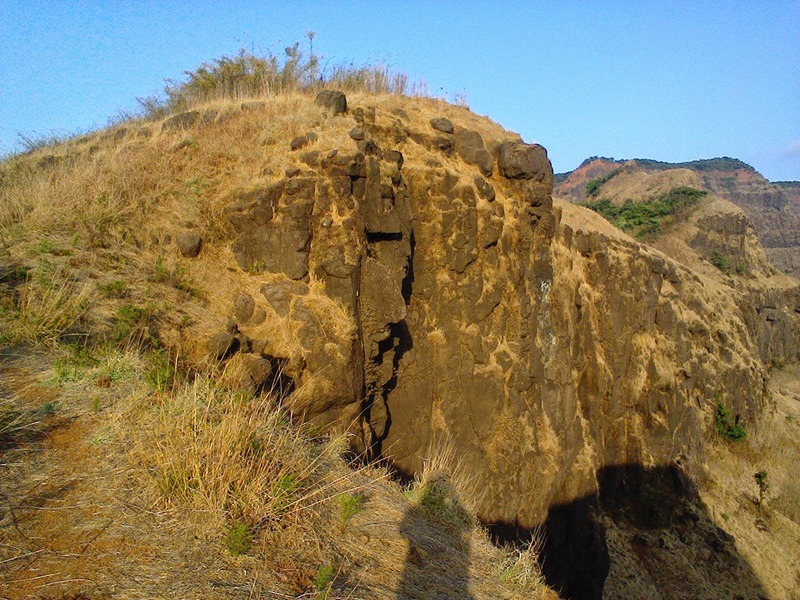 It took another 30 minutes to reach Gupt Bhimashankar. 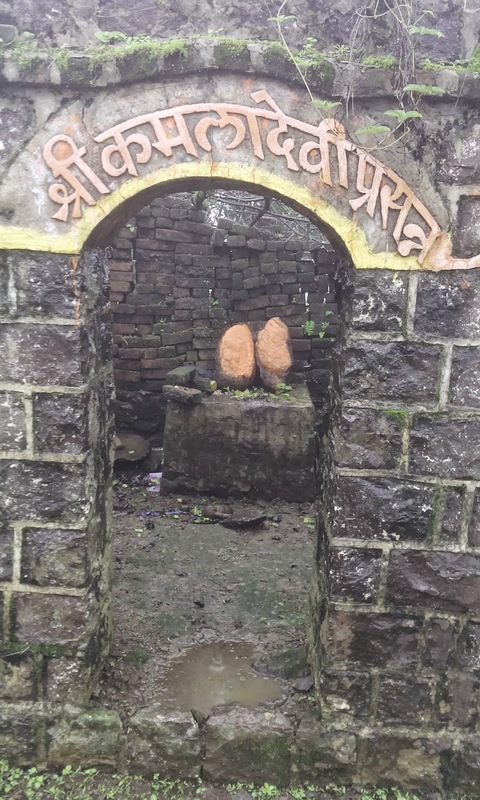 As we approached towards the Bhimashankar temple, we felt sad condition of this sacred place. We found pile of garbage dumped everywhere. Plastic bottles, carrybags, cans etc flowed away with the water which in turn mixed with Bhima river. What a disgusting scenario!!! When we reached to the temple, it was overcrowded. There was long queue. We took the blessings of the Lord Shiva from outside and went to search for the ST bus for Pune. It was 4.00pm in the clock. It took us 7.00pm to grab a private vehicle which took us to the Manchar and then another private vehicle from Manchar to Pune. We reached to Pune at 12.00am. Frequency of buses at Bhimashankar is real problem. So always prepare your treks taking into cosideration the transport point. Overall the trek was utterly satisfying!! Har Har Mahadeo!!!!!!! 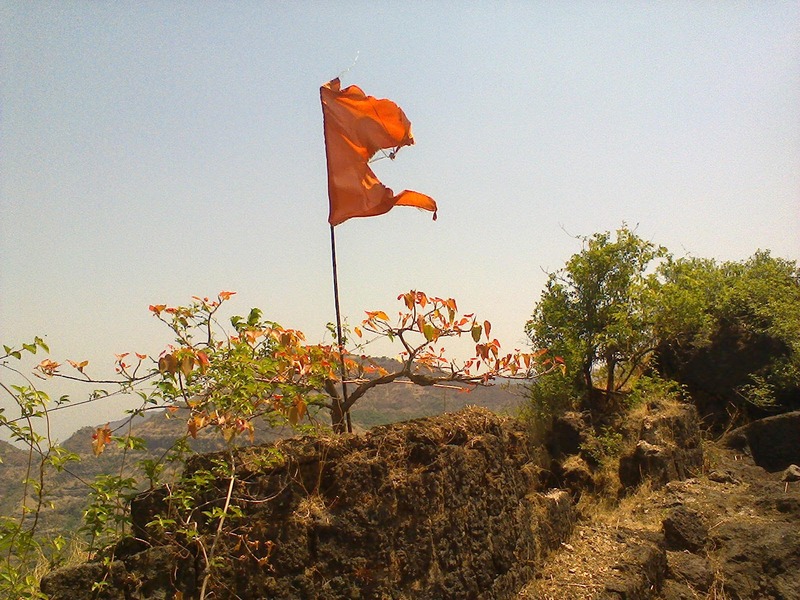 Sahyadri!!!! Our pilgrimage!! 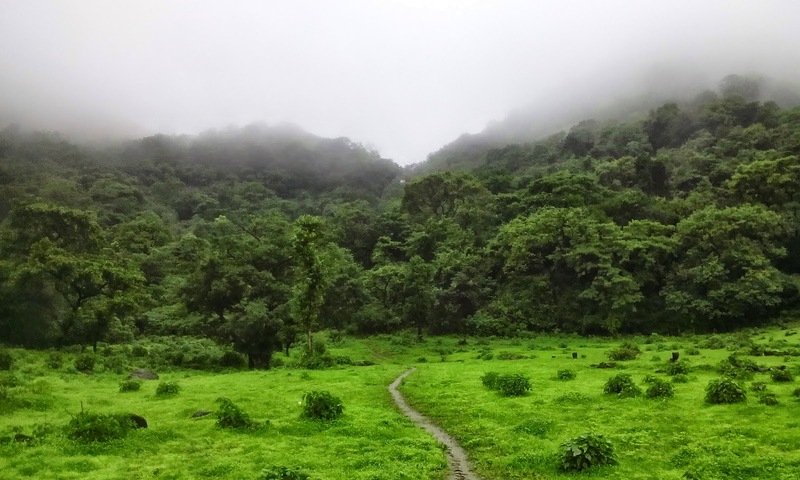 Since last december , I hadn't trekked into our Great Sahyadri terrain.I was desperate to climb some challenging trek route. After searching for a while I narrowed down to one name. 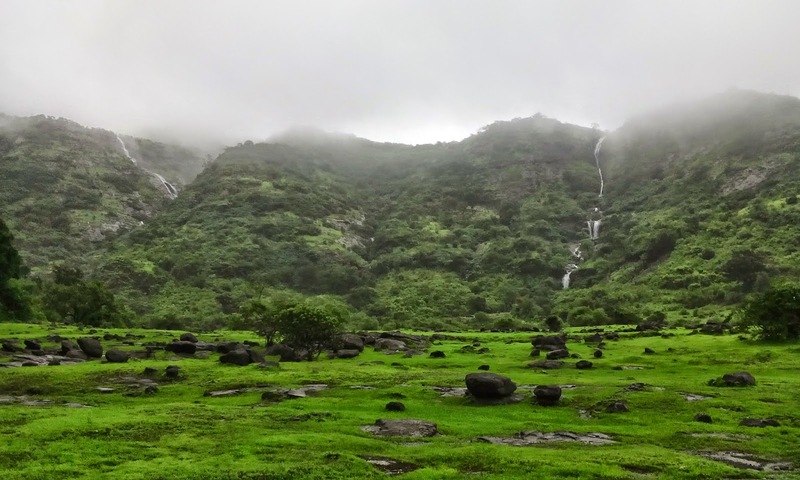 Chandragad to Arthur’s seat!! 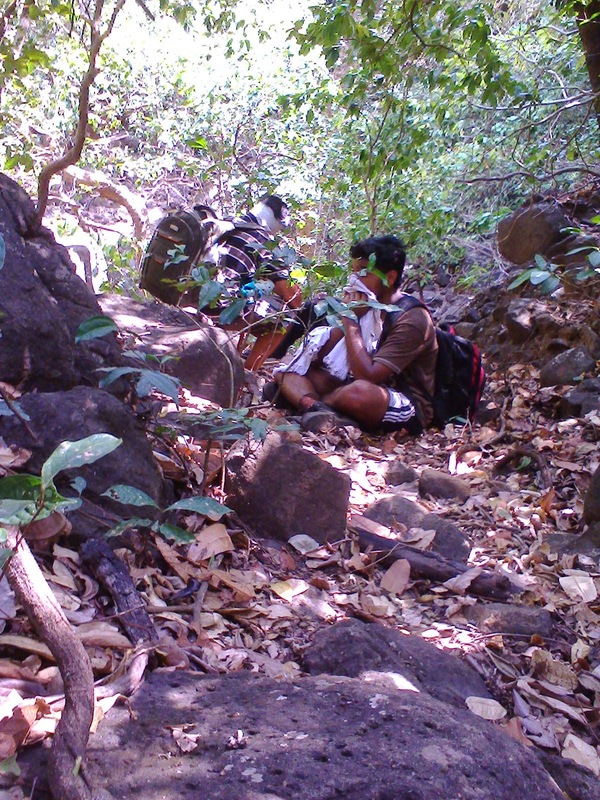 This mid-range trek in the Javali region, I lesser heard till I acknowledged it 2 months back from Mahadeo. Due to lack of time, we couldn’t trekked this range trek at that time. Just to know about it I browsed through net and I was certain to trek down this range near future. Last weekend i.e.31st May 2014, everything was in place i.e. time and trek-mates. 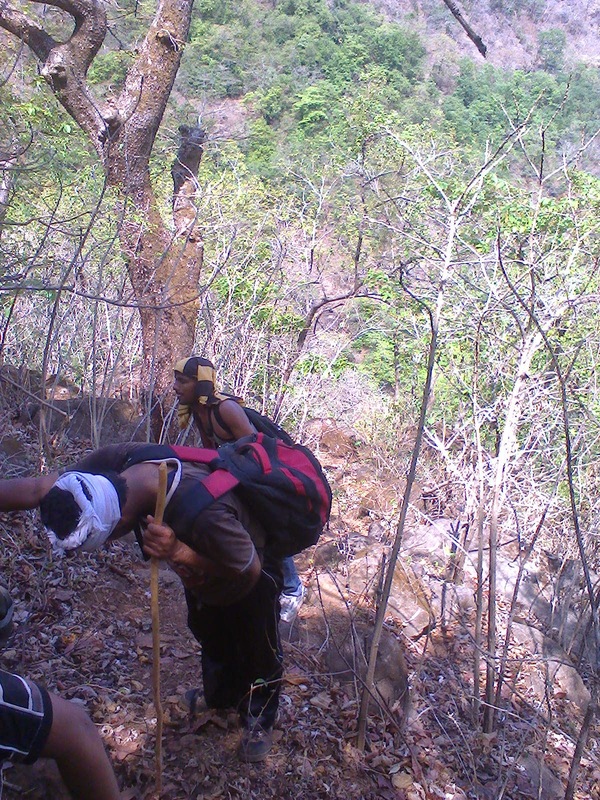 Total 5 trekkers; Mahadeo, Appaso,Gaurav, Vinayak and me gave their nod to experience the PAIN of harsh heat and steep climb!! We planned to leave Pune by private vehicle @ 10.00PM. But planned things(especially for trek) never happens on time. Our cab driver refused to come due to unknown(?) reason and that too @ 9.45PM. I dialled to cab owner to arrange other vehicle immediately and he too arranged it promptly @ 2.00AM. Totally disgusting!!! We already failed to stick to time plan. But nevertheless we focussed on our aim and started journey towards Poladpur. Just after Katraj old tunnel, our driver told us that he was not feeling good and need some sleep. It was beyond our control. We all slept in the cab for 2 hrs. Finally @ 4.30AM our honourable driver started moving towards Poladpur. We all became sure that this man was follower of snail & tortoise. He never exceeded his speed beyond 60Km/Hr. How fortunate we were to get such company in time bound trek like C to A.S!!! 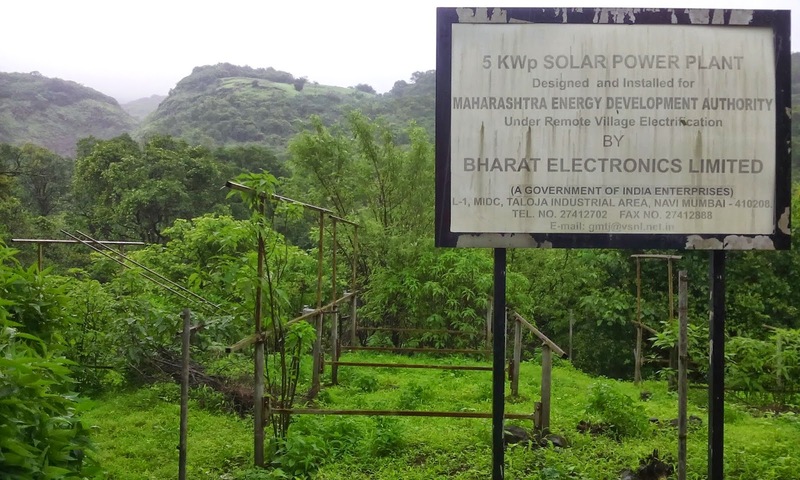 Pune-Wai-Mahabaleshwar-Ambenali ghat- Kapade phata- Umarath- Dhavale(base village). 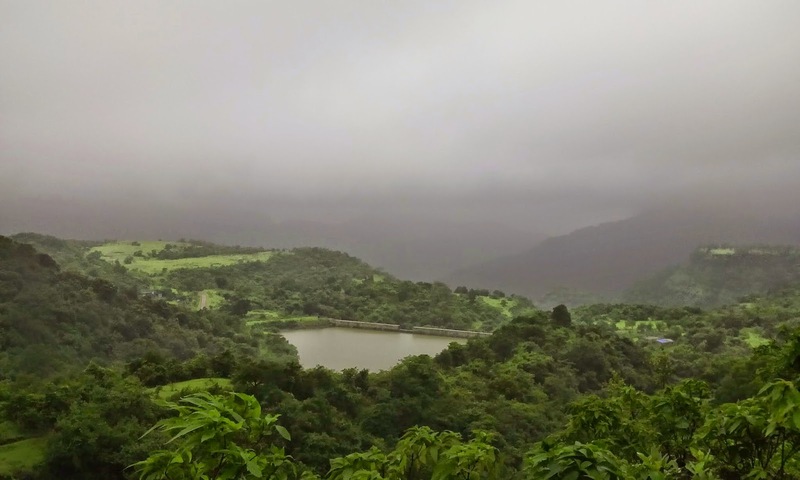 From Mahabaleshwar, you need to follow the Poladpur route. 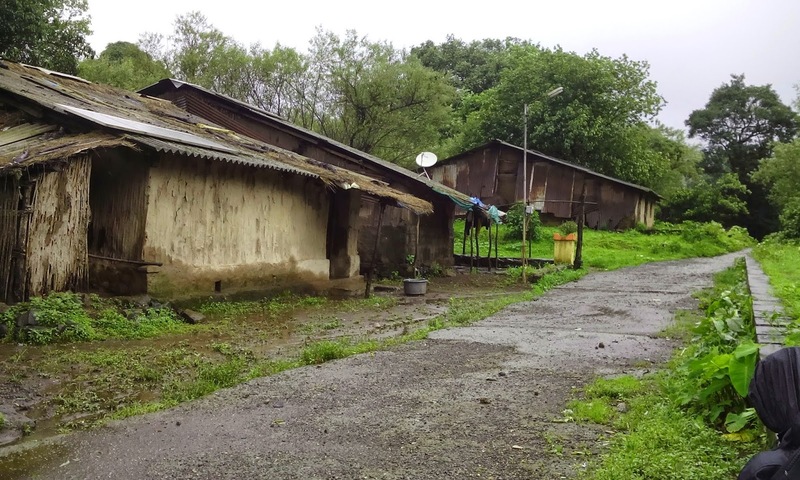 Once you descended the ambenali ghat and wheeled considerable distance, a small village ‘Kapade’ welcomes you. 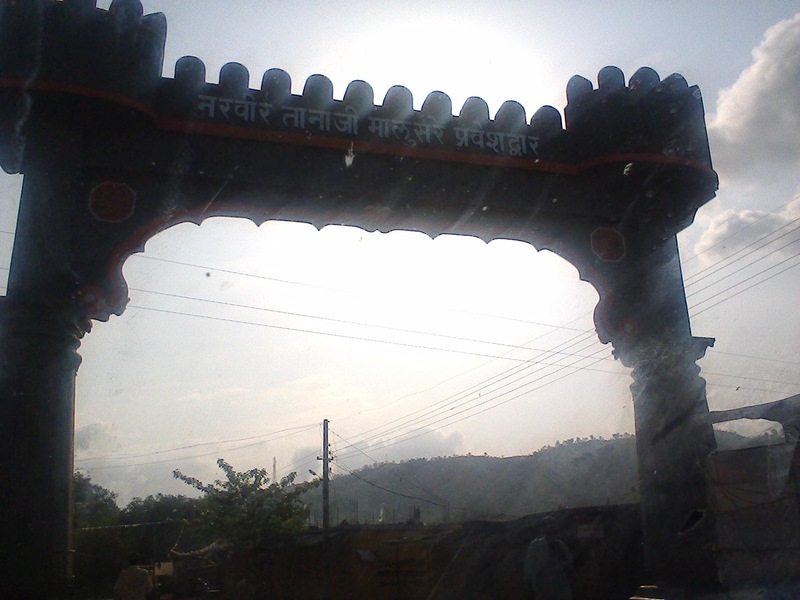 Take right turn from this village through an arch named after Great warrior Tanaji Malusare. 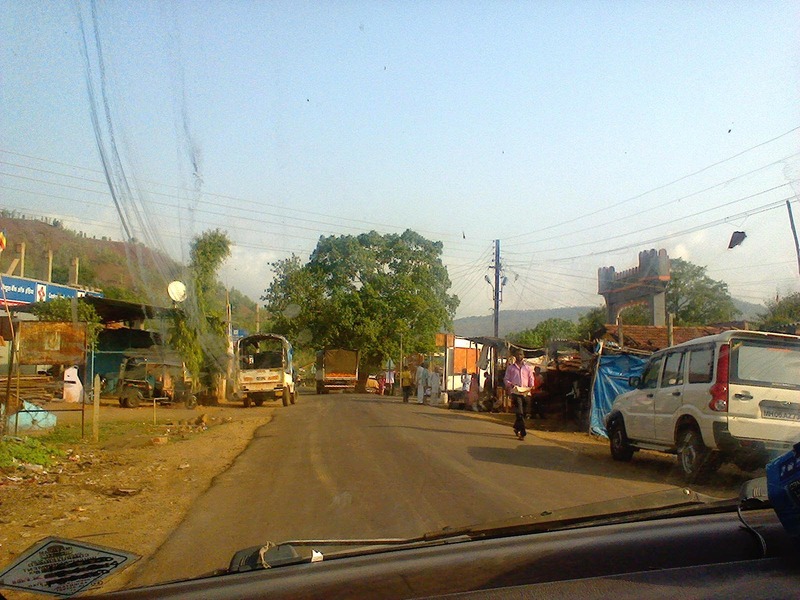 This route passes through first Umarath(birth place of Tanaji Malusare) and then to Dhavale village. 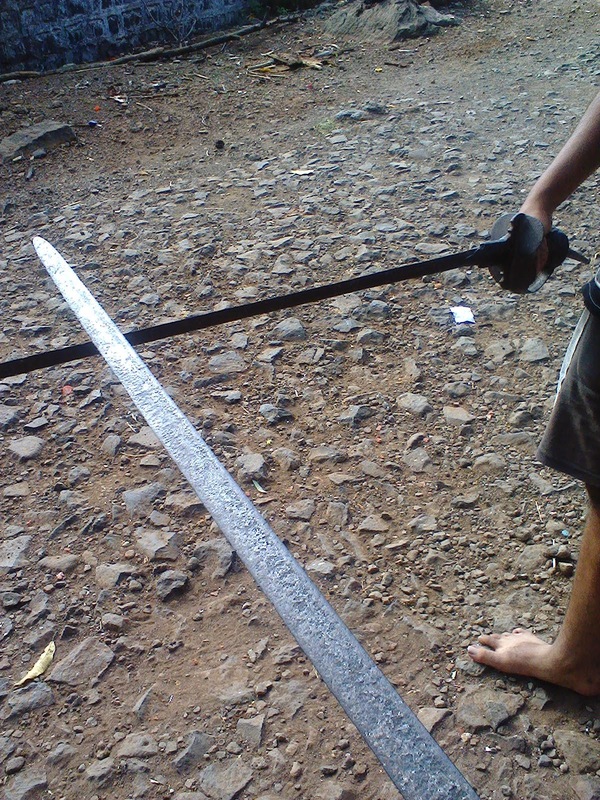 In Umarath , we asked some people about the trek and also about the weapons of Tanaji Malusare( we read it in one of the blogs). They showed us ‘Gupti’ & ‘Dandpatta’. They told us that these weapons recovered from the trunk of Mango tree. 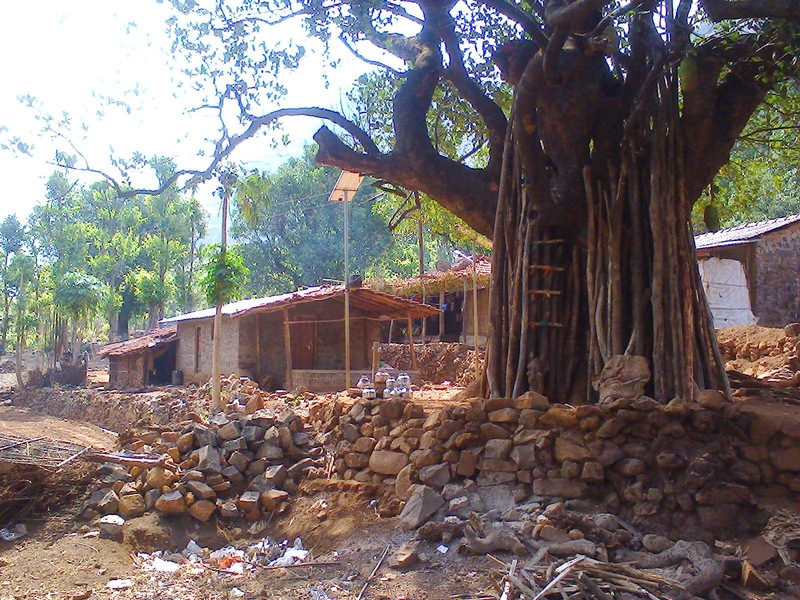 This tree is still there in the village. Thanking them for the information, we started our journey towards our destination. @9.00AM we reached to Dhavale. We had our homework about the trek route and time required; but for the safe side we asked for the guide from Dhavale village. Nobody was available in the village. Some people told us to go to Shelarwadi which is 10-15 minutes’ walk from Dhavale. We followed the distinct route and reach the wadi of 3-4 huts. There we asked about the guide to a lady. She called her brother who usually help the trekker for C to A.S. trek. We had our breakfast till he came back from his farm. 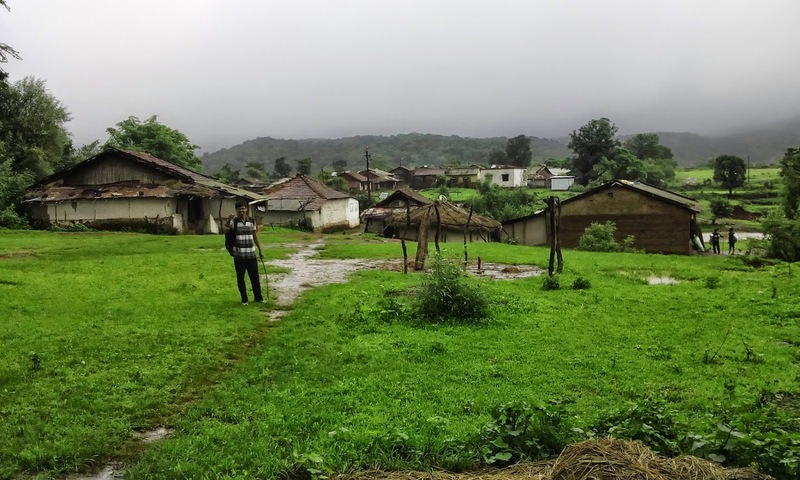 When our potential guide Chandrakant aka Pappu Kadam ( Phone # 9225499580 or 02191-691221) came back; he told us that due to death of one of the grandmother in that village, they couldn't come with us. But he carefully explained the trek route to us and also gave his number in case of emergency. 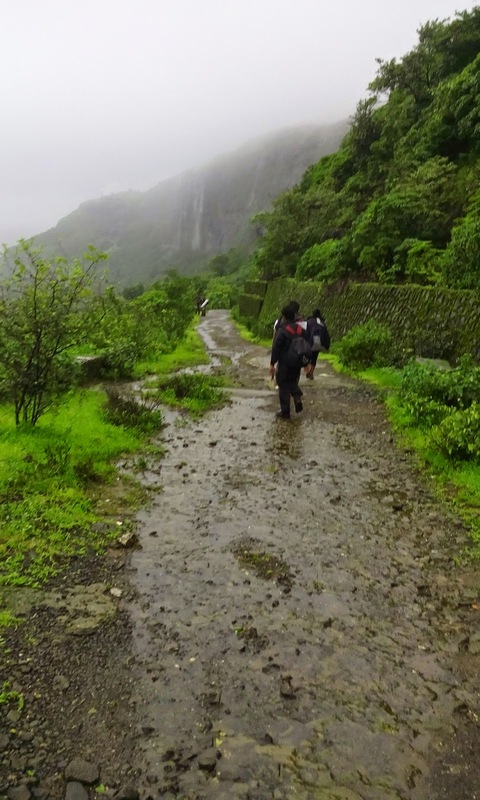 We had started walking towards Chandragad fort @ 10.00AM. Initial route passes through farms of the villagers. It may confusing due to many cattle routes but villagers will certainly guide you till the point where you can trace the path on your own. 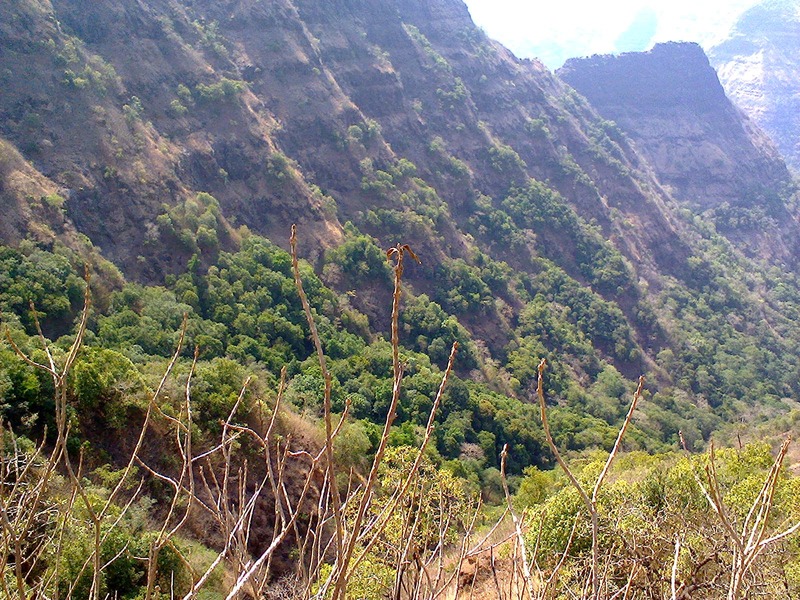 Route to Chandragad gradually ascends and then traverses a small hill till the junction between Chandragad and that small hill. 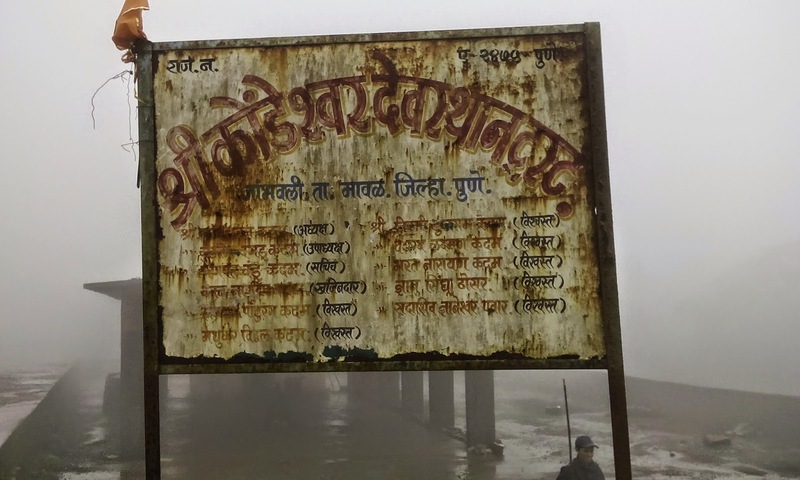 There are “Om Namah Shivay” sign boards installed at regular intervals. So you will hardly miss the route. Once you reach to the junction, you need to deal with scree & steep climb(Not difficult). This patch is exposed to sun so it will drain you completely ( only during summer). We slowly proceed towards the peak. Just before the peak, look for the traverse going to the right side ( when you are standing facing the fort) in the direction of col. This col is shortcut route to Arthur’s seat. I have shown it in the above map for reference. You need to cross small rock patch(easy) to reach to the top of fort. This is small traverse to reach the col ( shorcut route). 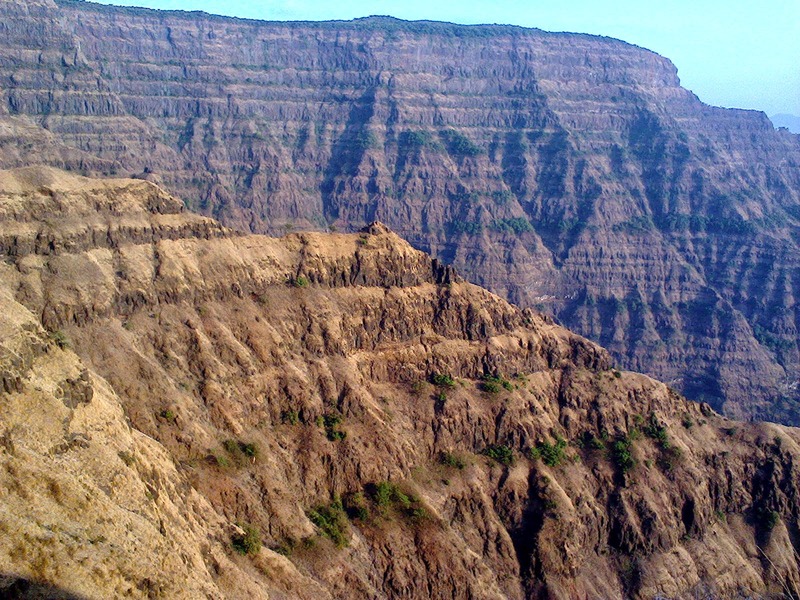 From this point, chandragad top is just 10 mins away. 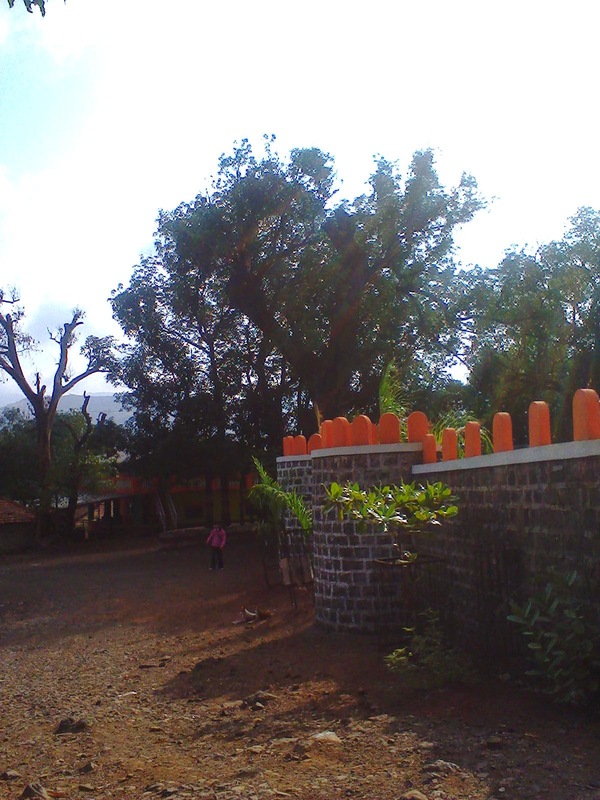 Area of the fort is very small. 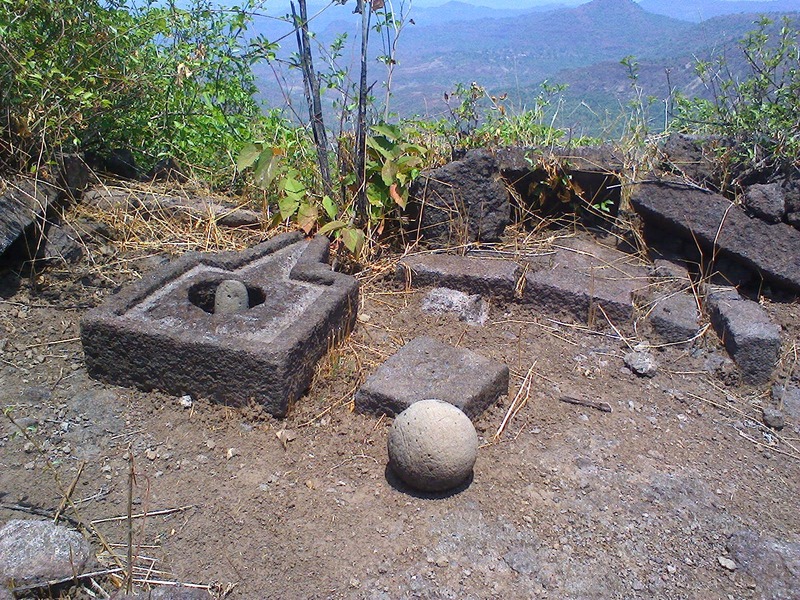 There is Shivlinga and Nandi at the entry point of fort. 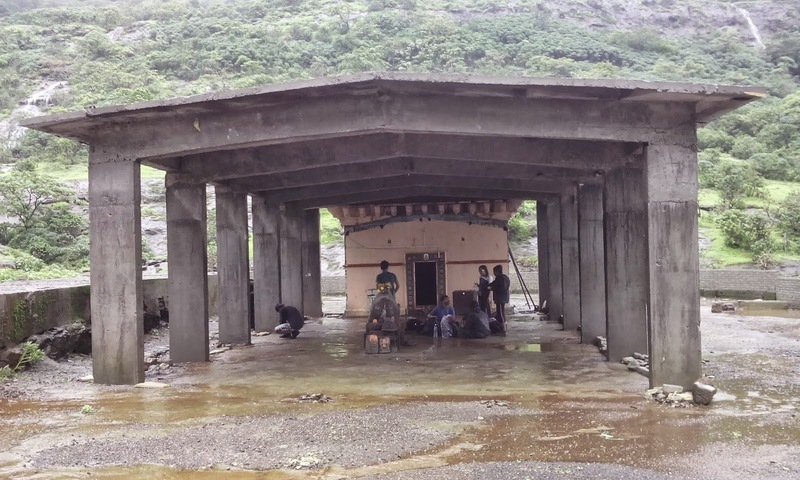 2-3 water tanks are available on the fort. 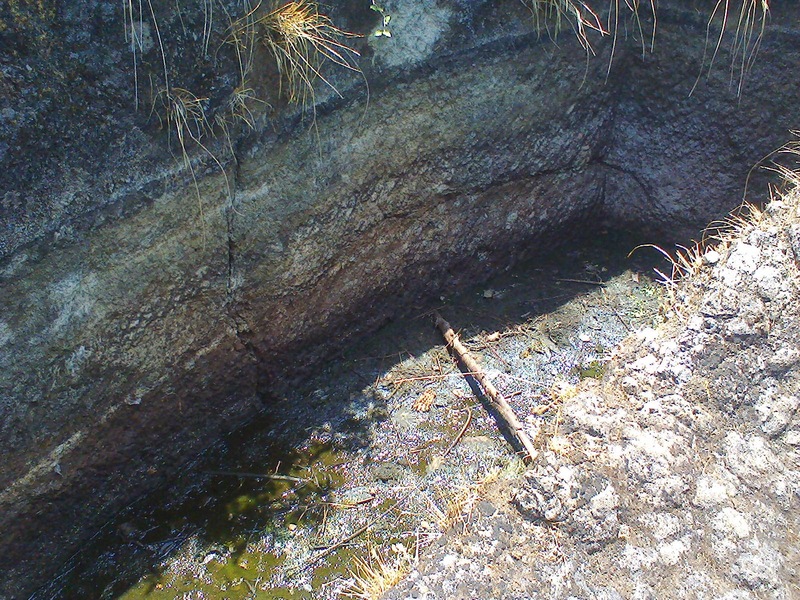 Water may not be available on the fort during summer. We reached to the fort @11.15PM. We had rested on the fort for 10-15 minutes and then started looking for the route to reach Bahirichi Ghumati. 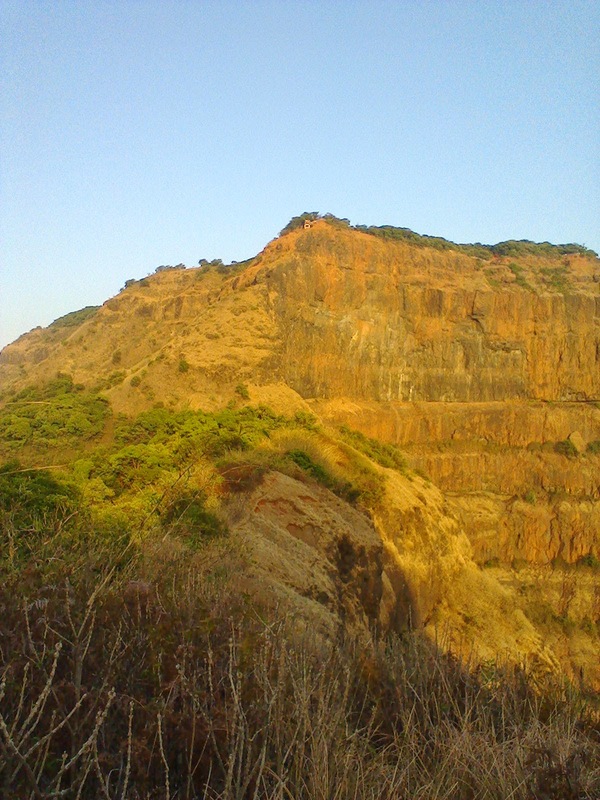 This is major landmark in this trek. 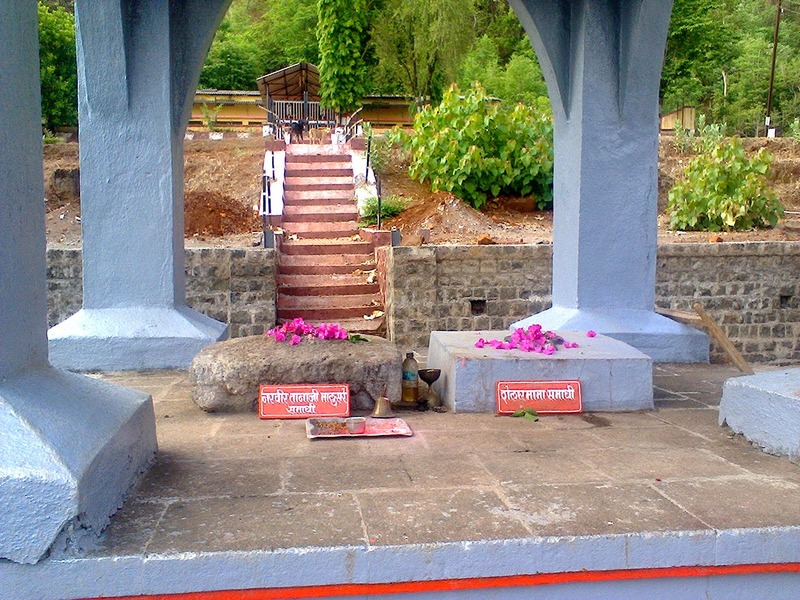 People from Dhavale as well as Jor worships the Lord Kal-Bhiravnath situated at Ghumati. Route was not at all visible form the top of the fort. Though we had our homework but we couldn’t locate the route. To confirm the direction, we dialled to Pappu Kadam. He then told the route to reach Ghumati. Accordingly we started descending the fort. After 10 minutes of descending we followed the traverse going towards the col. This route is shortcut to reach Ghumati. 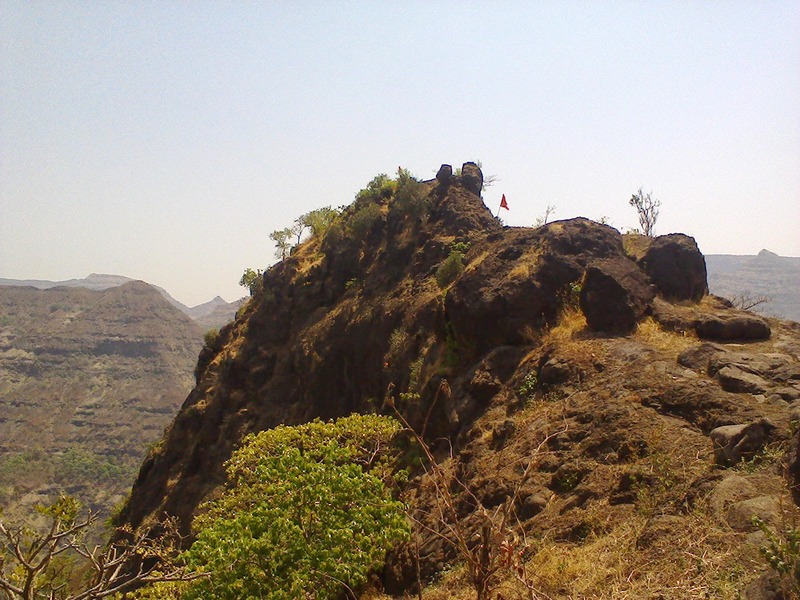 There is another traditional or common route to Arthur’s seat, where you need to completely descend the fort and traverse to the fort and then follow the jungle route to Ghumati. The route, we chosen connects to this traditional route after descending considerable distance. We had started descending through col. Initial patch was full of scree. It was really hard to walk upon this route. We literally glided on the path taking support of karvi roots. 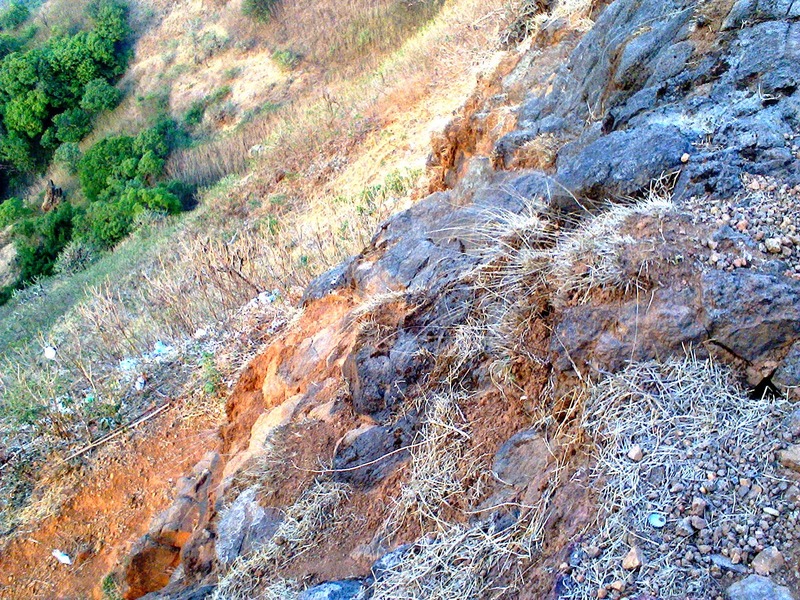 After 15 minutes, this scree route connects to nal route. Follow this route till the end. After 1 hr., you will reach almost to the end of this Stoney route. Just before end of this route, search for the route going in the right side. This route joins the common route. We reached this junction @ 12.45PM. You will find arrow marking at this junction. From nal route, turn towards right and follow this route till the sapalkhind. 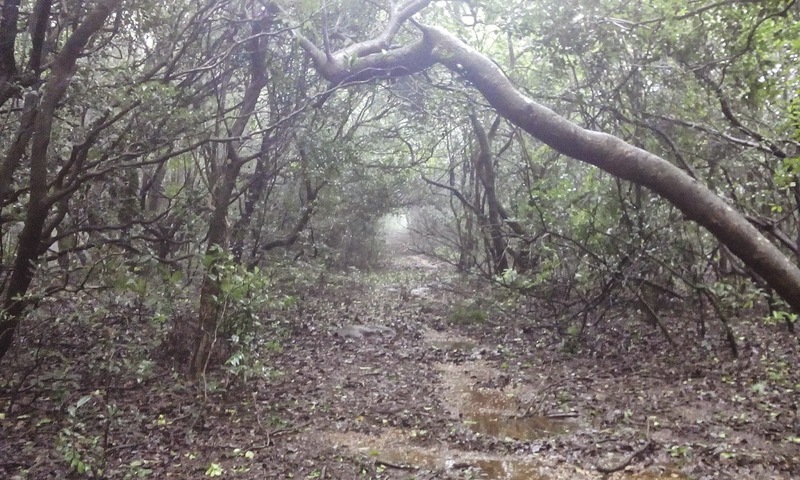 This route passes through dense jungle. Route is clearly defined by arrow markings. This route runs parallel to the nal originating from Sapalkhind. 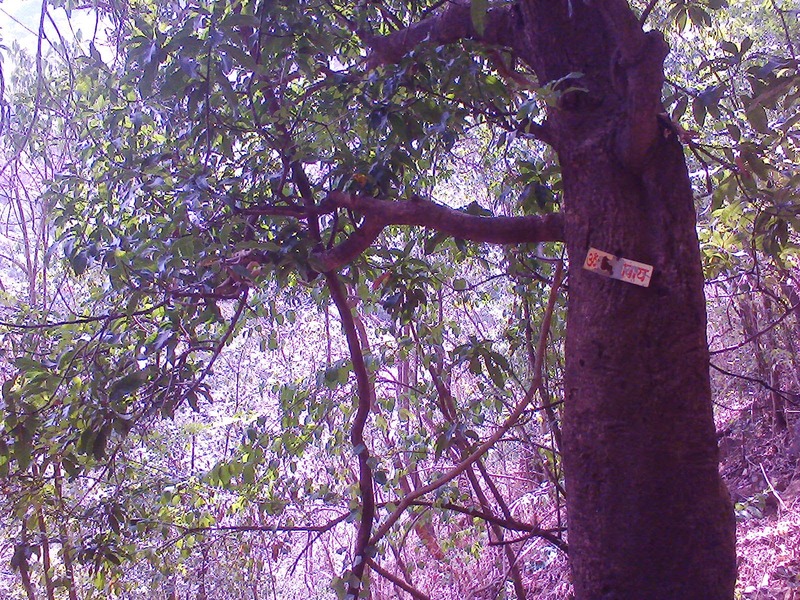 This patch is sharply ascends till the sapalkhind so it certainly tests your stamina. 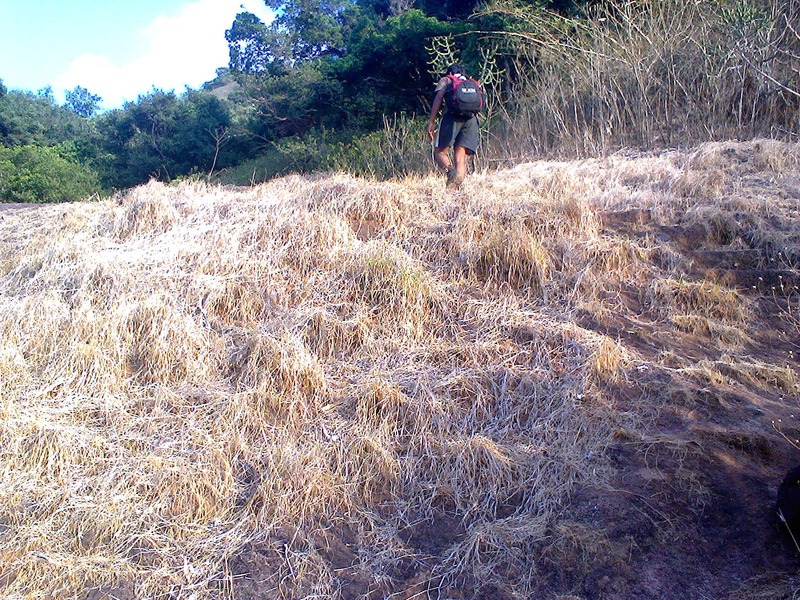 Due to intense heat and steep climb, our rest points increased considerably after every 10 minutes. It was too exhaustive!! 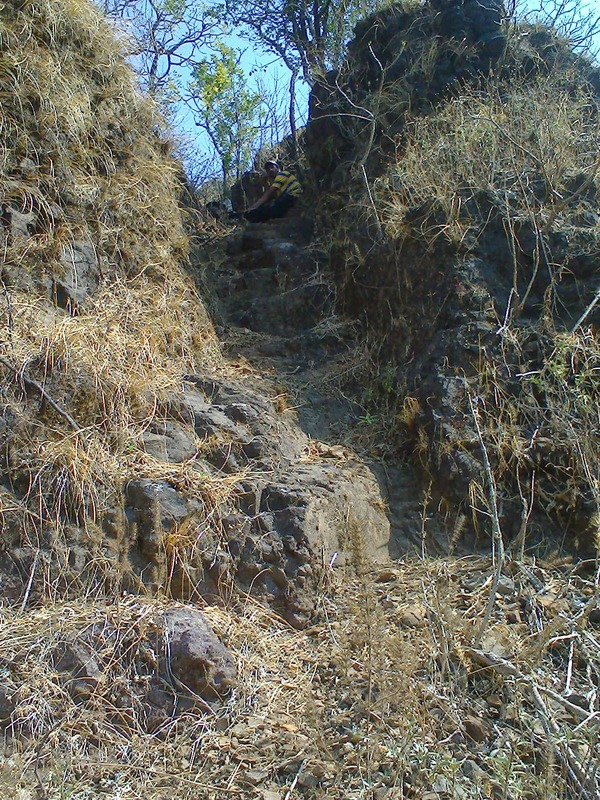 Once you reach almost to the top, you need to look for left diversion which traverses towards the Ghumati. We hadn’t seen any arrow markings for this diversion. So be vigilant to locate this left turn. It took us 3.5 hrs. to reach this diversion. This traverse passes around 2-3 small hills. 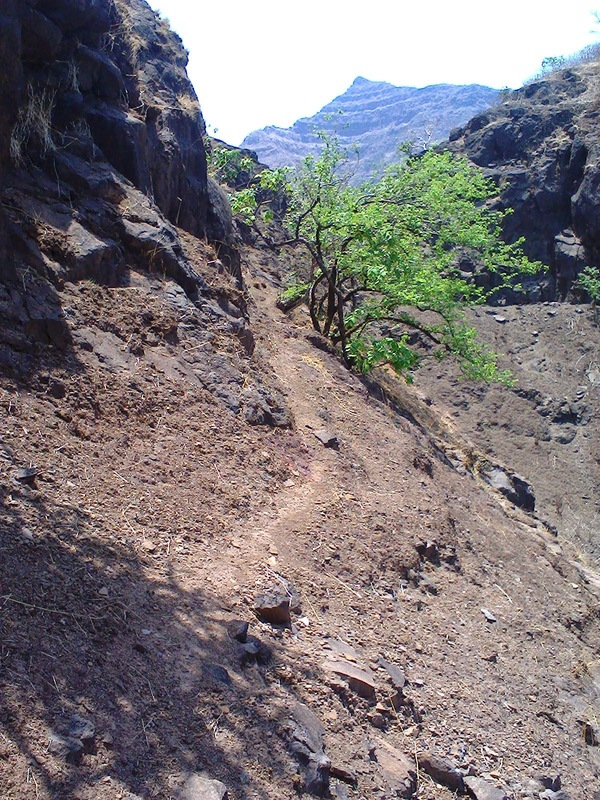 As there was scarce vegetation on this path, scorching heat slowed us down. Again this route is well trodden. Not at all chances of missing this route. 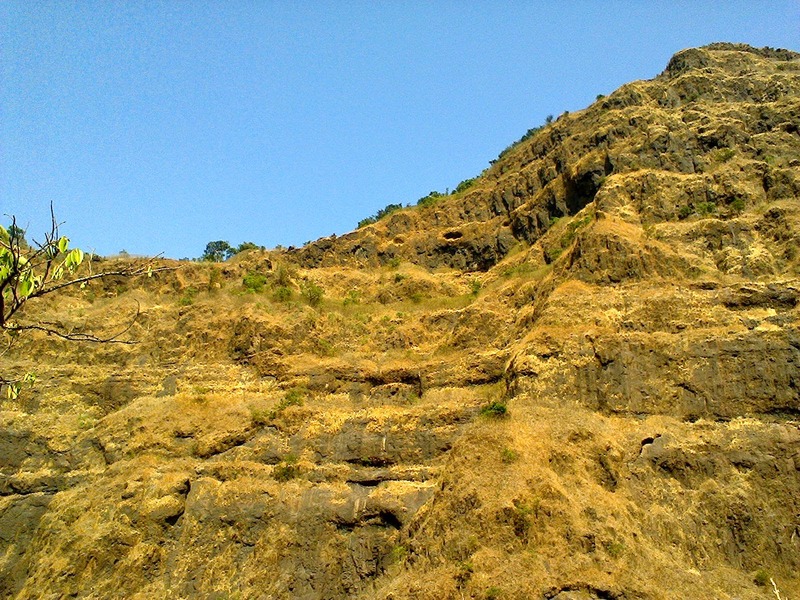 This route leads to the Bahirichi Ghumati. We were so relieved to see the Lords abode. After taking blessings of the Kal-Bhiravnath, we all slept for around 15 minutes to get refreshed. We reached the Ghumati @ 5.00PM. Our water reserve was extremely low. We read on the net about water tank near Ghumati. 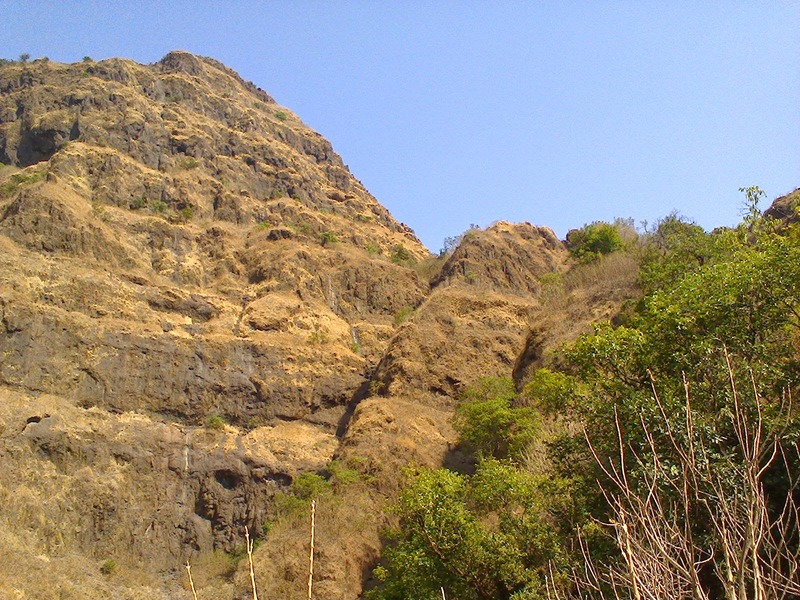 After small but necessary lunch, we called Pappu Kadam for the further route to Arthur’s seat as well as location of water tank. He told us about the route and we started walking towards our final destination. 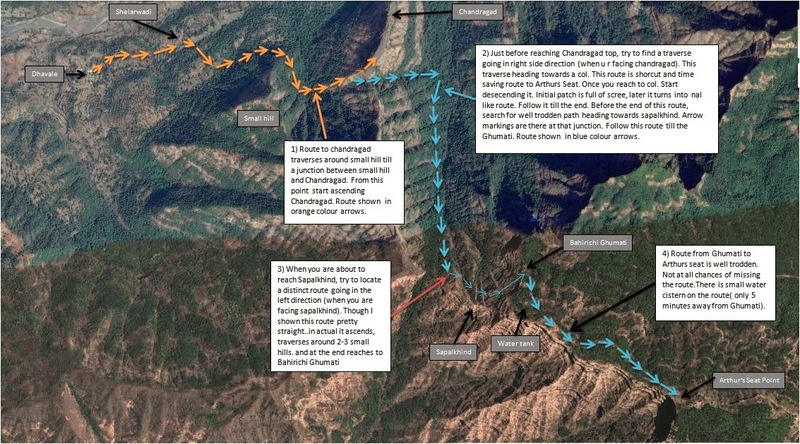 There are two routes emerge at Ghumati. 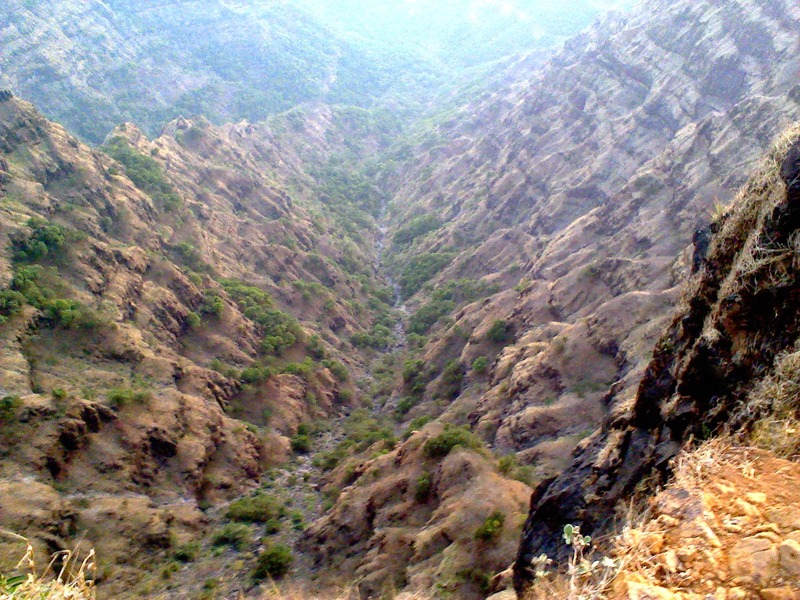 Just beside the Ghumati, one route descends to the Jor village and another route in front of Ghumati which ascends the hill. Follow the this ascending route. Water tank is situated on the way just after 5 minutes of walking. We filled our water bottles and started our further journey. Clock showed 6.00PM at that time. The route passes along the ridge and clearly visible till the Arthur’s seat. It sometimes passes through dense jungle and sometimes through open ground. Arthurs seat at the top corner!! At 7.00PM we climbed the small rock patch below Arthur’s seat and reached to our destination. What a sense of achievement!!! With contented mind and little refreshment we headed towards Pune with our adventure lover driver. Rock patch at the end. Easy one!! Sunset from the Arthur's seat!!! Return journey too filled with many obstacles but we finally reached to Pune @2.00AM and our trek finally ended. This trek is truly stamina & endurance tester. 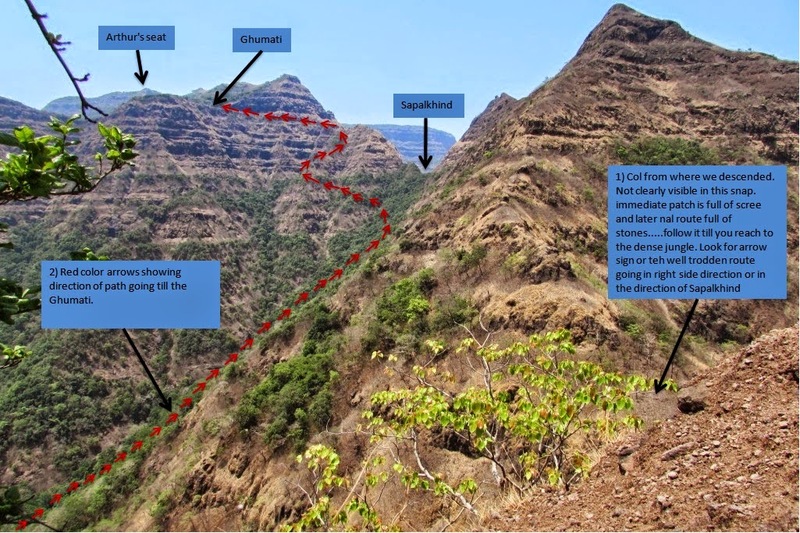 Once can certainly complete this trek(including Chandragad fort) in a day. We had started our trek @10.00 am and completed it @ 7.00PM. 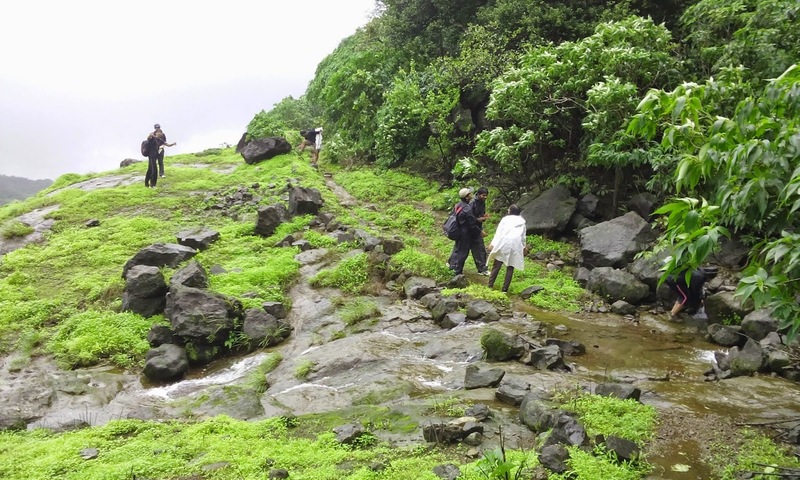 I would advise not to to opt for this trek during rainy season as some traverse patches would be extremely dangerous in wet conditions. 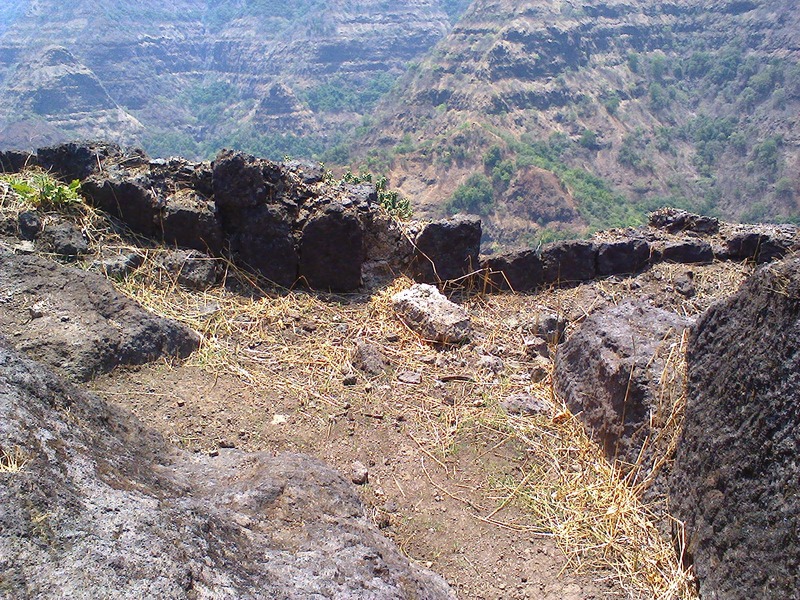 I would also suggest to take guide from Dhavale or Shelarwadi, if you are new to trekking. 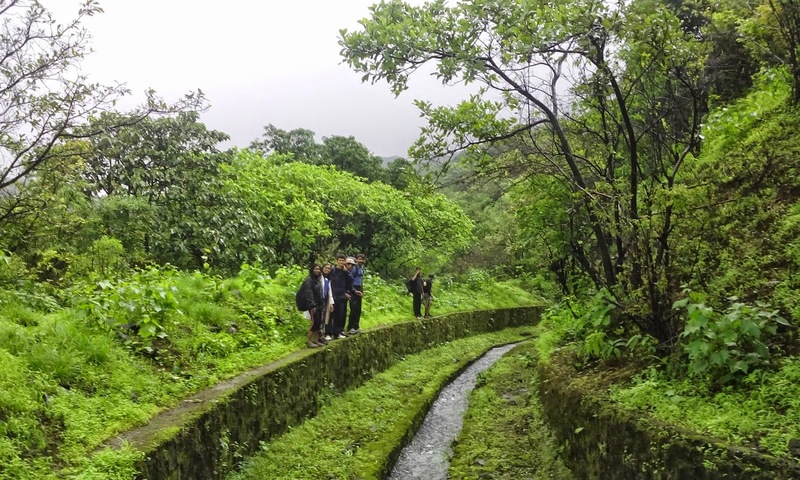 Route till Chandragad is not at all confusing but from then path towards Arthurs seat passes through dense jungle. There are many chances to miss the route. So it is always better to have guide with you. Or atleast have contact number of guide. I have already mentioned Pappu Kadam's number. 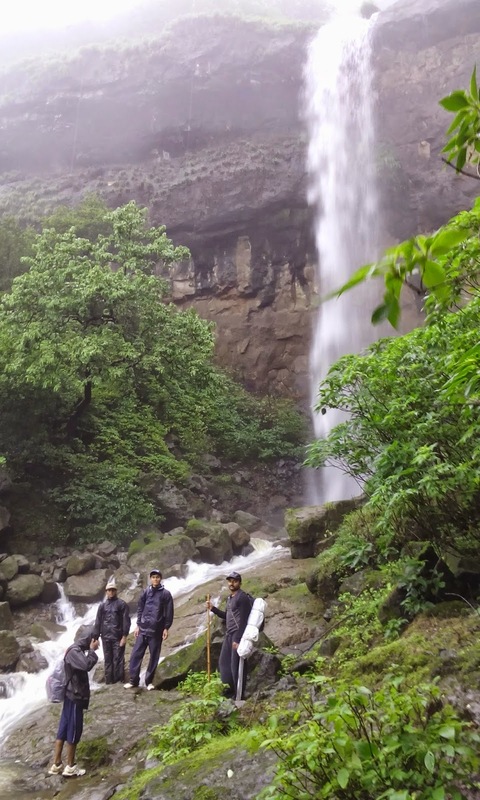 This trek is certainly a feast for adventure lover!! !